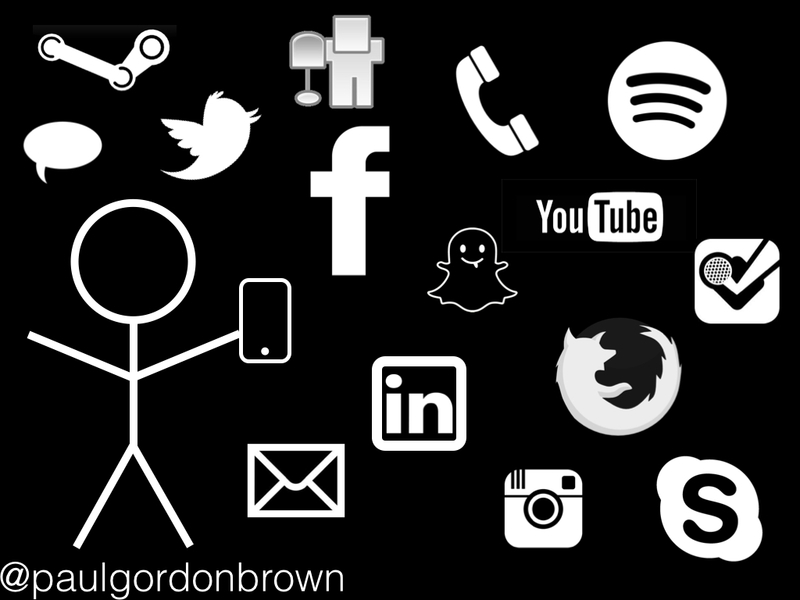 My research passion is about college students and how social media and technology impacts the developmental process. Unfortunately, I’ve found a lot of the discourse in student affairs around this subject to be lacking. When you attend a conference session or read a thought piece centered around this topic, they often focus on marketing, technological tools, and their use, rather than what’s occurring at a more theoretical or fundamental level. If articles and sessions do focus on student development, it is often on the byproducts of a larger developmental process rather than on how technology may be changing the process itself or our understanding of the process. I believe that faulty assumptions are baked into this framework that will increasingly be hard to maintain as we learn more about social media and technology and what it reveals about our selves. The following is a work in progress and represents some of my current thinking on these issues. Please leave comments! Your thoughts and feedback, both critical and affirmative, are immensely helpful. As my understanding evolves through my research, so will some of my posts about the topic. To follow along, you can come back here (www.postdigitalidentitydevelopment.com) to find updates and read more. 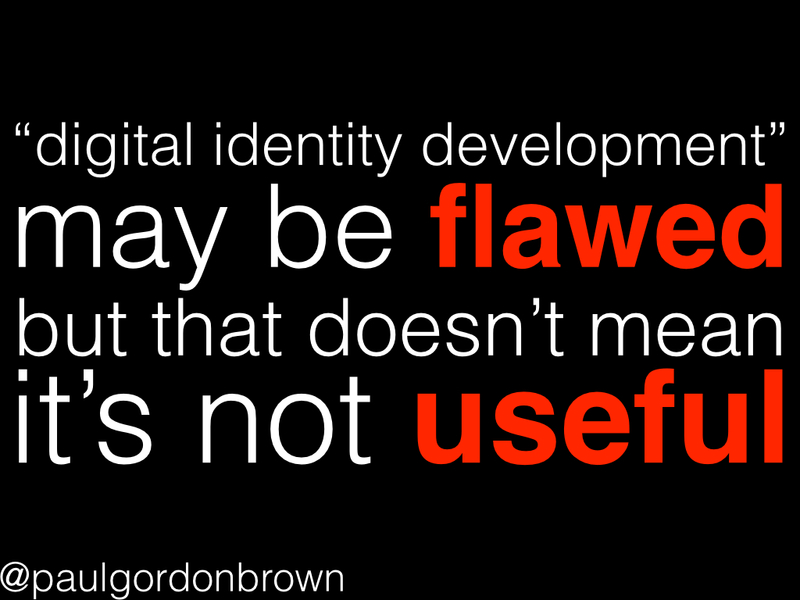 So how can digital identity not be about identity? The word identity is in the phrase!!! 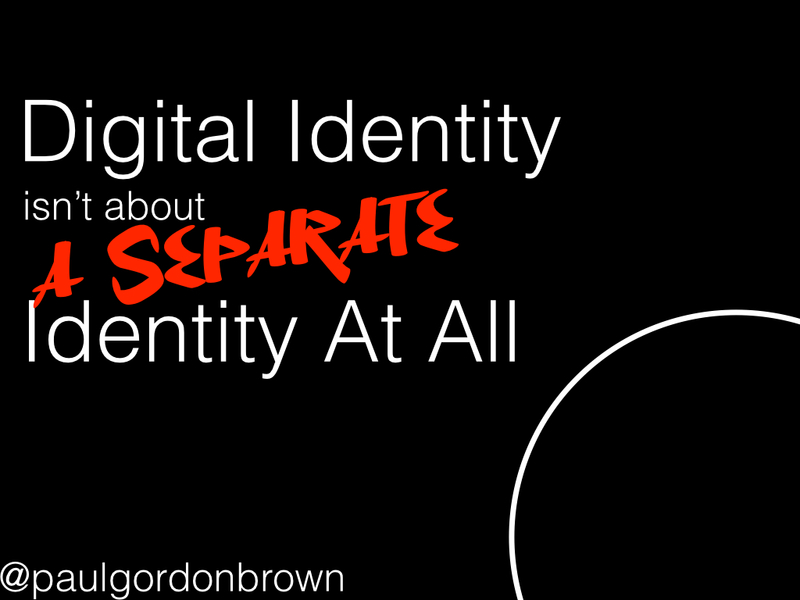 A more accurate title may convey that digital identity is not about a SEPARATE identity. I believe that a lot of the loose rhetoric and opinions around this topic have approached the idea of a “digital identity” in the wrong way. They uncritically assume, rather than problematizes, our traditional notion of development. The concept assumes that the crowning achievement of the developmental process is to create a single, bounded, sense of self. Self-actualization. Self authorship. This is where I take issue: elevating the primacy of the individual actor. I have a problem with this definition. My problem lies in the words and phrases highlighted in red above. 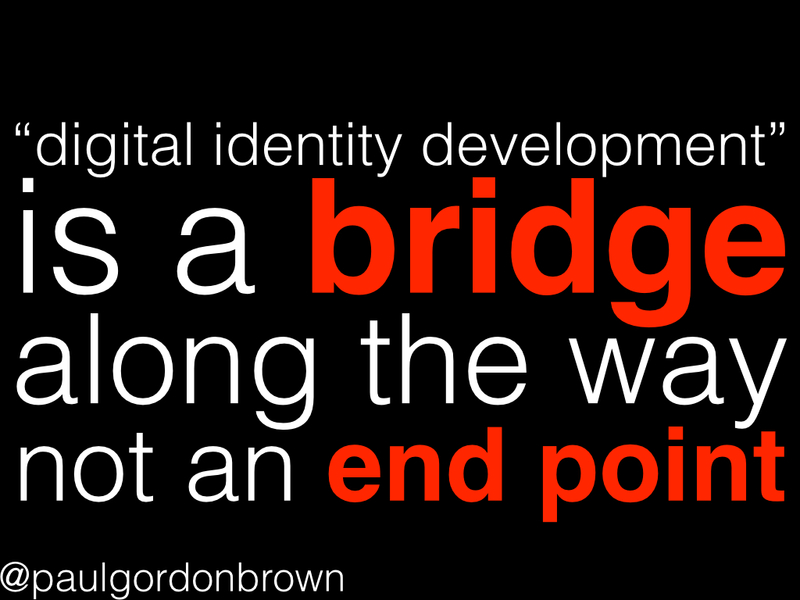 First, this definition assumes that digital identity development is “new,” and that it’s a dimension that never existed before. 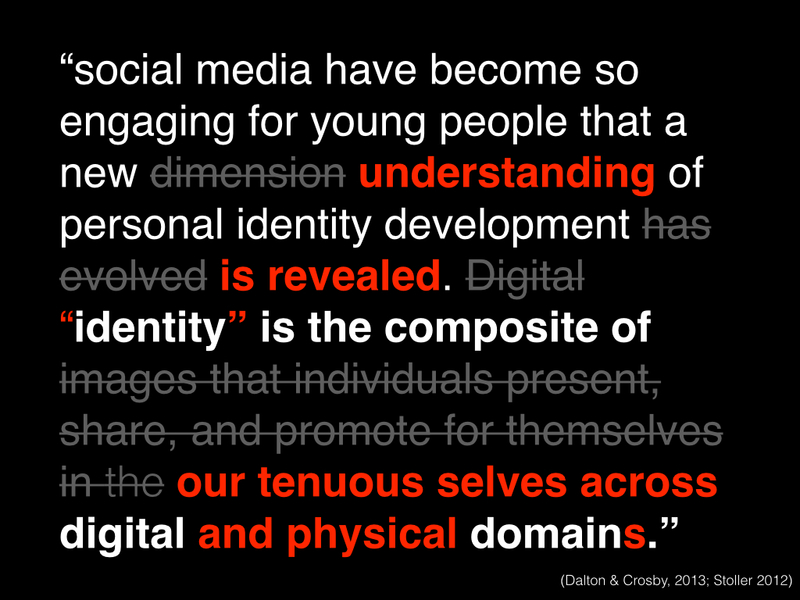 Second, it discusses digital identity as if it’s a discrete or separable “dimension” of personal identity. And lastly, the definition presents the “digital domain” as if its a distinct sphere or place that can be represented as a discrete composite or a collection. 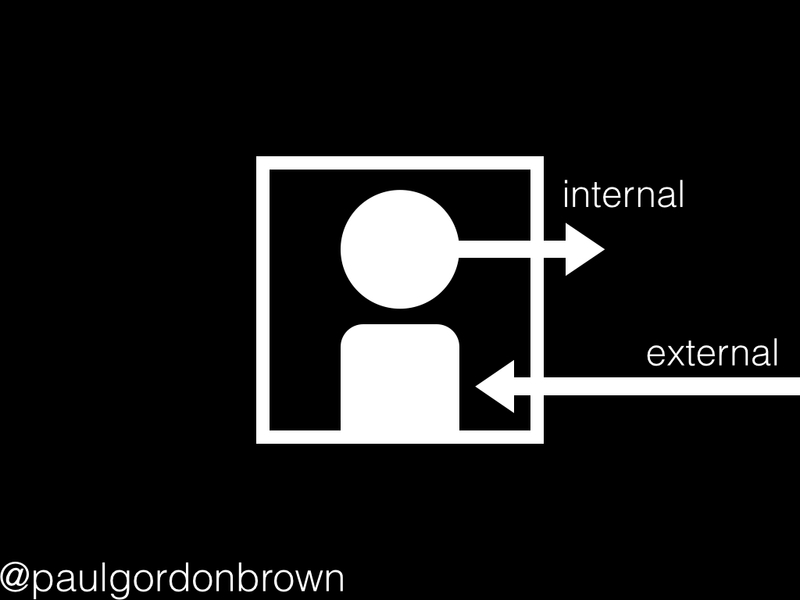 By defining digital identify in this manner, it posits that there are two worlds (the digital and the physical) and that the physical is primary. Much like the age old philosophic problem of mind and body, digital identity, as defined, creates two worlds. Development primarily occurs in the physical realm under this regime (although presumably two developmental processes are occurring in tandem on separate, but related, tracks). 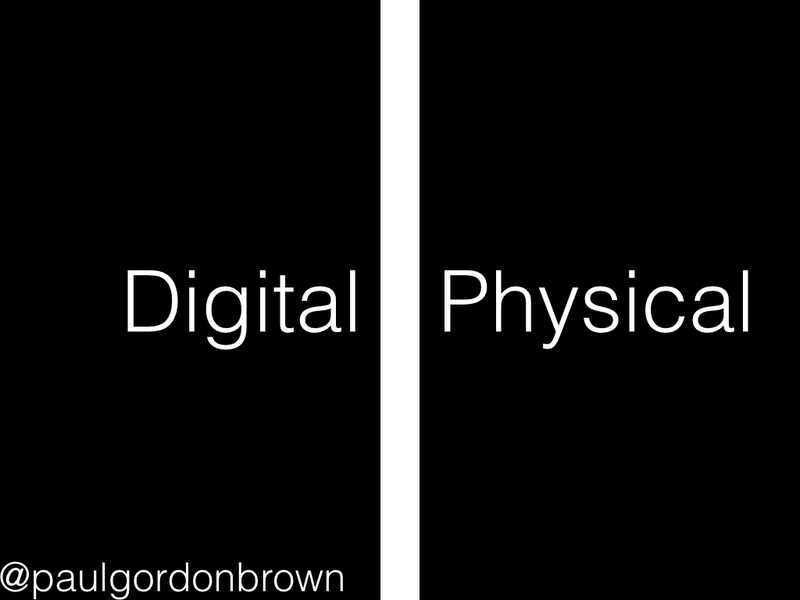 At first glance, separating the digital and physical makes sense. Many, if not all, of the current theories in the college student development cannon are built off of modernist theoretical orientations. They are of linear form, as the slide demonstrates above. 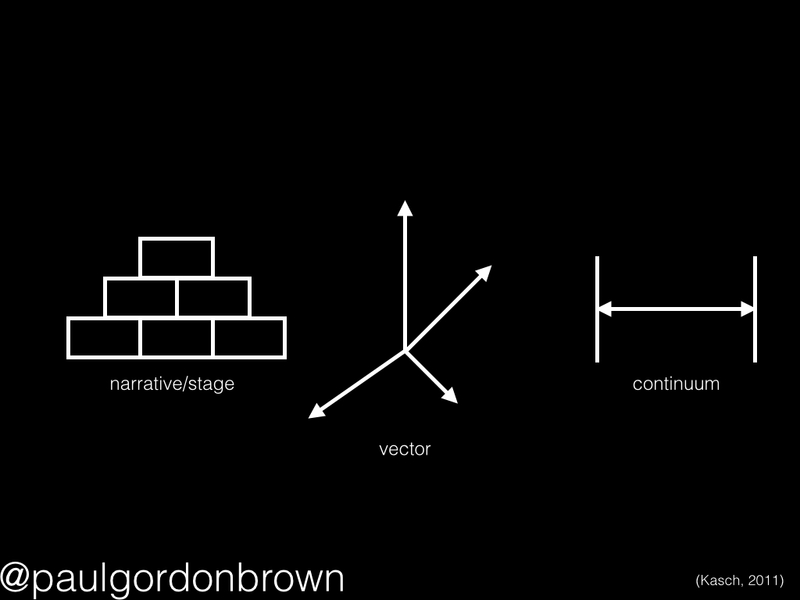 David Kasch (2011) talks about these theory groupings as falling into three main categories: (1) narrative or stage (ex. Perry, Baxter Magolda), (2) Vector (ex. Chickering), and (3) continuum (ex. Marcia, Josselson, etc.). Looking at theory structure, instead of just content or orientation, reveals some underlying assumptions that may become increasingly problematic in a post-digital world. 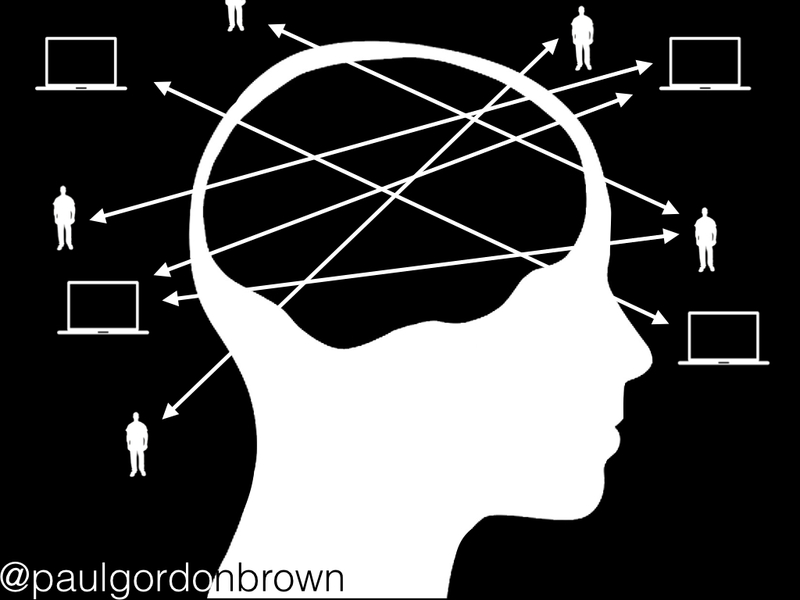 In this new reality, flows of information, people and relationships are far from linear. Think about the time you started surfing the web on one page and five minutes later you ended up somewhere else, with no clue how you got there. Digital life encourages this. It is anything but linear. 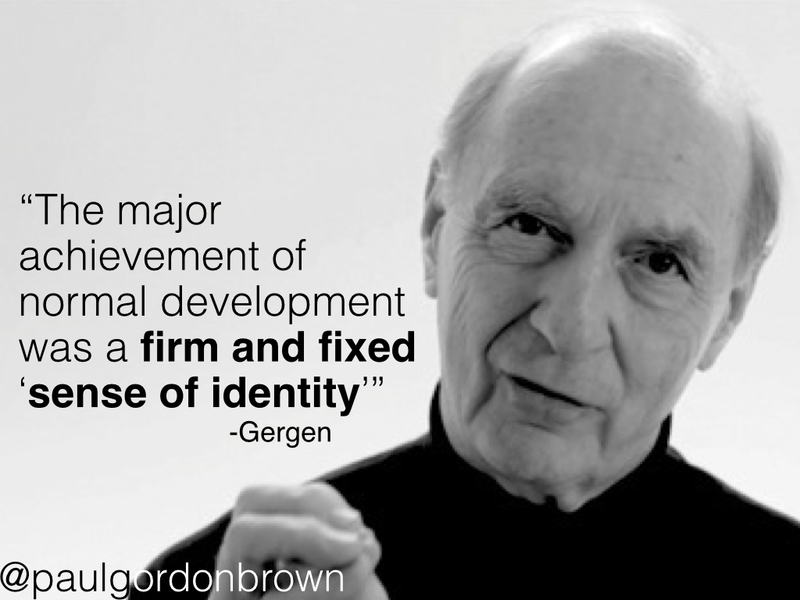 Psychologist Kenneth Gergen points out that our traditional college student development theories always end with one goal: a firm, fixed, bounded, singular “sense of identity.” Gergen argues, however, that this notion is increasingly untenable as we move from modernity to postmodernity. He posits, instead, that we are better defined as possessing a saturated self (constantly in flux with all of the media and technology that surrounds us) or a relational self (which flips identity from asserting the primacy of the individual to that of relational processes). Take the contemporary college student. As a student walks across campus to class, they are literally glued to their smartphones. In the span of a few minutes, they switch between applications and roles with relative ease. They could be playing the “son” or “daughter” role by texting their mother for advice. They could be posting a picture to Instagram of their adventures from last night. They could be Snapchat-ing with a friend who’s studying abroad. They could be applying for a job by submitting their LinkedIn profile. On top of this, they could be doing all of these in a short span of time and in rapid-fire succession. If we think of the abilities smartphones have unlocked for us, they almost seem like super-human powers. 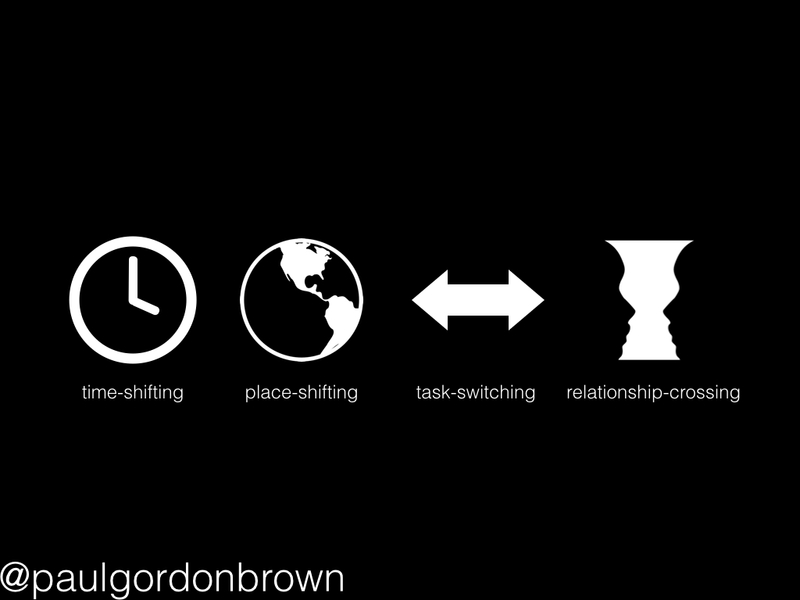 We can time-shift, by sharing or consuming information asynchronously and out of sequence to different audiences. We can place-shift, by representing our “selves” as being in different “locations” or by consuming content regardless of locality. We can rapidly task-switch, from one action to the next. And finally, we can relationship-cross, by participating in multiple communities and networks of friends and spaces with relative ease and nearly simultaneously. New technology, particularly networked technology as exemplified by social media, has evolved us into beings that are quite different from the college students that paid long distance charges to call home from a telephone down the hall and received letters via postal mail. We are increasingly networked to technology and other devices in more integrated ways. 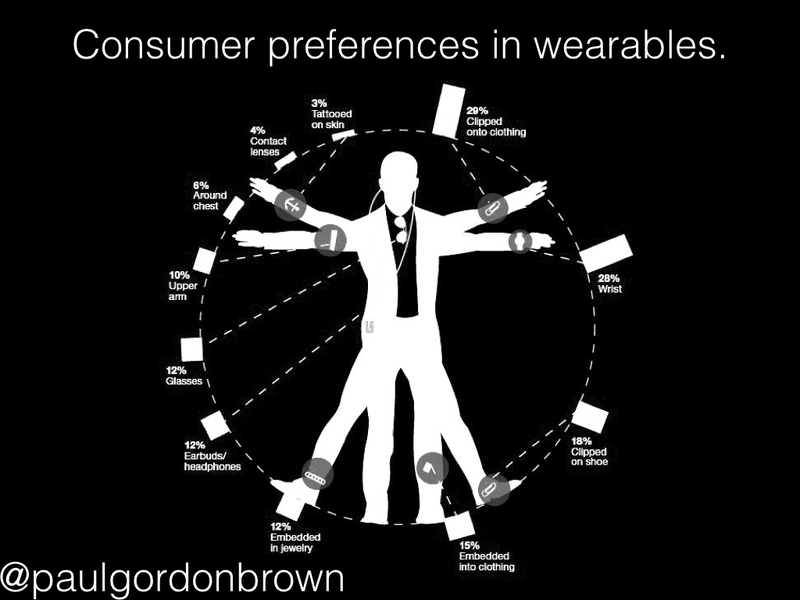 Take for instance the hot trend in technology known as the “wearable.” Rather than just hold our technology, we can now wear it, and in so doing, be more intimate in our connection with it. The Nike+ FuelBand or the FitBit are excellent examples of this. These two pieces of technology are worn on the wrist, are wirelessly connected to our smartphones, and provide our brains with feedback about our bodies and movement. Another classic example of a wearable is Google Glass. The device overlays a digital layer of augmented reality over things that we see. 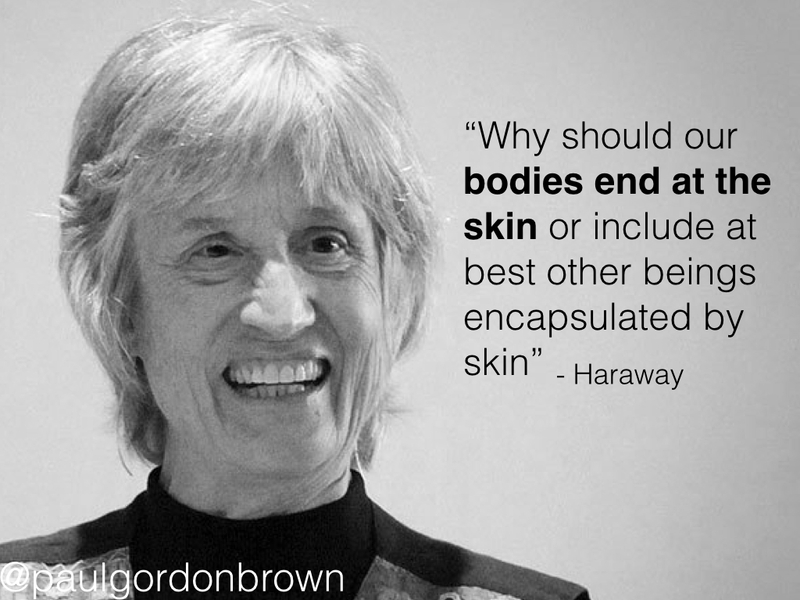 In many ways, it’s getting harder to see where our bodies end and technology begins. Pacemakers are pieces of technology that are physically implanted in a body and regulate its functioning. Cochlear implants allow deaf people to hear. If one rides down this slippery slope, it becomes relatively easy to slip into a realm that was once dismissed as science fiction. Integration with technology doesn’t just end at implants. Computers themselves are increasingly becoming more human-like. We can talk to our phones in real language and they talk back to us. Artificial intelligence can serve up advertisements that are relevant to what the computer has learned about us. Remember that watch you looked at on Amazon.com? It is now showing up in ads on other websites you visit and you are receiving recommendations for products that people with your similar tastes purchased. It is stalking you. All of this is happening rapidly and sooner than one may think. (See this National Intelligence Council report and this report from the National science Foundation.) If we are to move beyond digital identity development and towards post-digital identity development, we need to realize that we are being integrated with technology in ways that are revealing latent aspects of our learning and development that may have been previously overlooked. 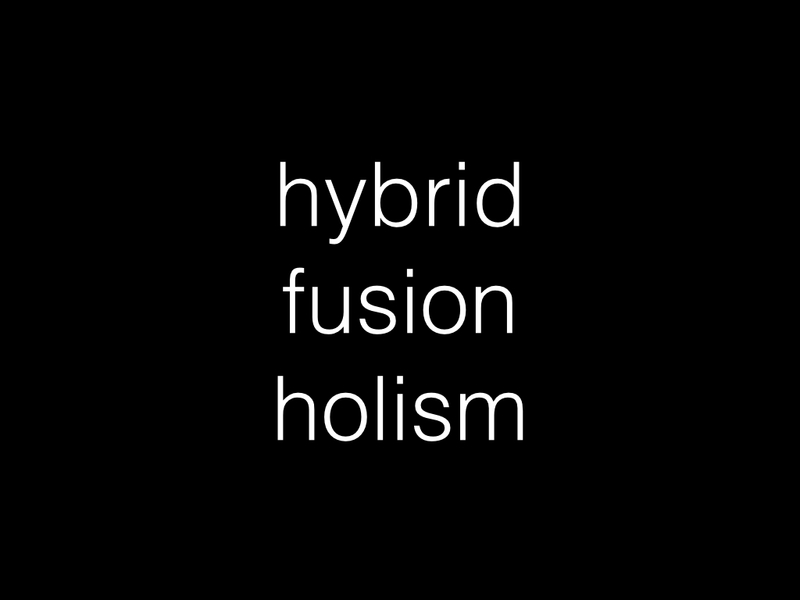 We exist as hybridized beings, fused with technology, requiring us to view our relationship with technology as a whole and not bifurcated into separate parts. Current and older theories still maintain a distinction between what occurs “in here,” in the mind, in our internal life, and what occurs “out there,” in the physical world, in our external life. As we become more deeply integrated with our technology, however, this distinction may be increasingly hard to maintain. What may be more important as a unit of analysis, is the relationships, contexts and networks that run through us and around us. George Siemens and Stephen Downes have talked about this concept, in part, referring to it as connectivism. 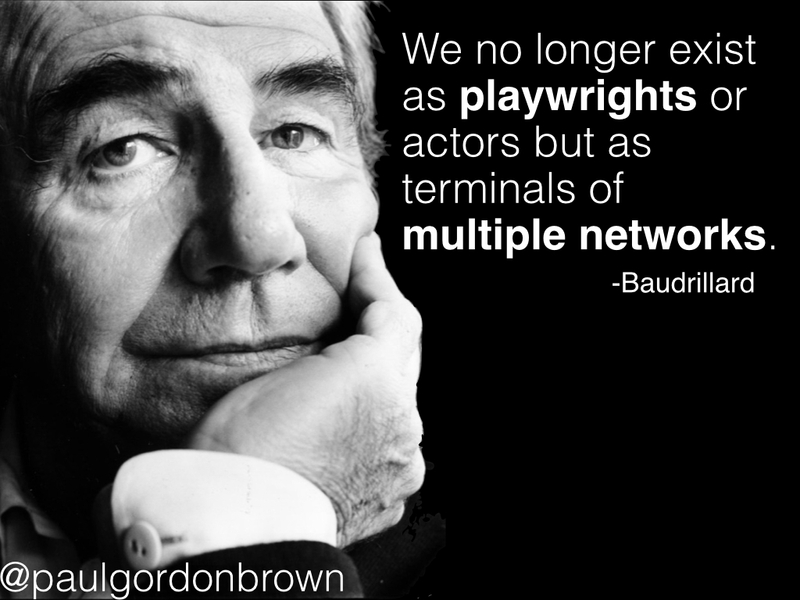 Connectivism elevates the network over the individual. 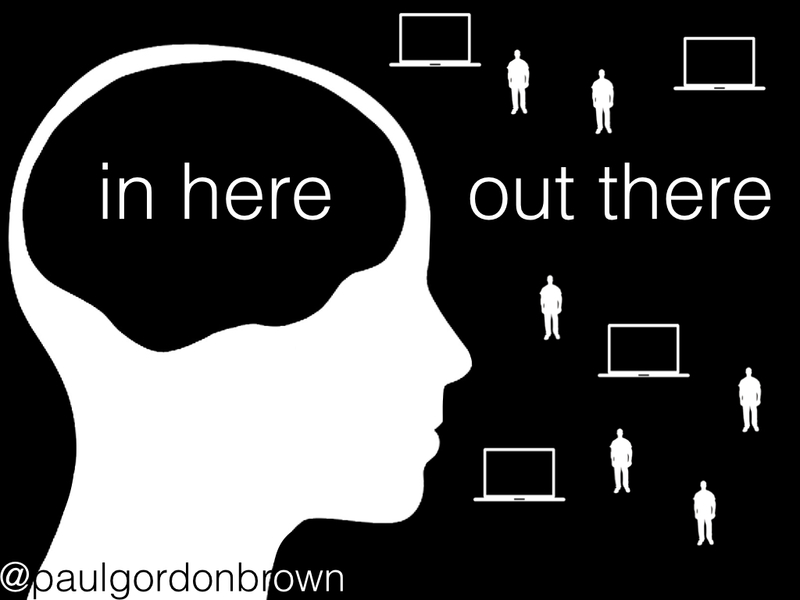 The learning is in the network, not necessarily a feature that is the sole domain of one’s head. I believe that current theories have missed this. They were constructed in a period of modernity where positivism reigned supreme and concepts were atomistically analyzed. In the more fluid present time this distinction may no longer hold. And so if we return to our original definition of digital identity development, I think we need to make some revisions. First, this may not be a “new” dimension of development, but perhaps just a new understanding of something that has been there all along. Furthermore, it may not be an evolution, but a discovery of a latent truth that was obscured by the limits we had prior to our developing this new technology. 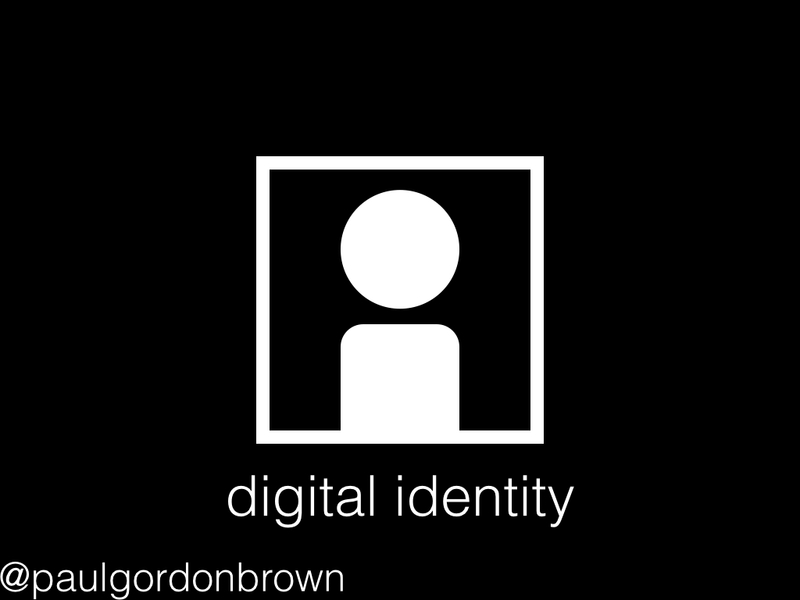 Digital identity is thus not a separate aspect of “identity,” but “identity” itself. 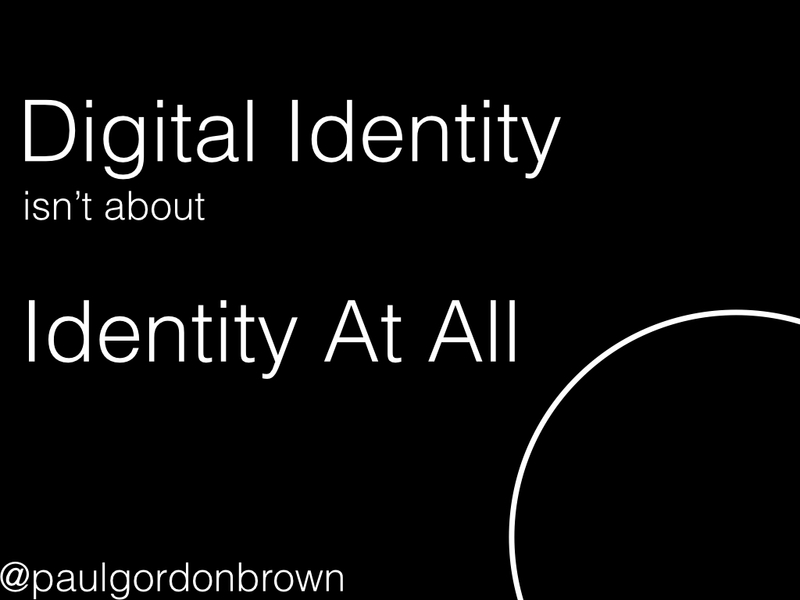 A notion of “identity” that, as the title of this presentation reveals, may be tenuous at best. In turn, this “identity” is not just a composite of the digital and the physical domains separately, but one where the two must be taken as a whole. The digital and physical are inseparable. I think it needs to be recognized that this is true for only one moment in time. We cannot lose sight of the larger picture about where technology is taking us and what it reveals about our fundamental being. In order to achieve this, student affairs professionals and college student educators need to engage with others online, not just utilize social media and networked technology as a tool. Understanding social media and technology does not stop at understanding how to use applications, or what contexts in which to deploy them, but in understanding how they shape and are shaped by us. 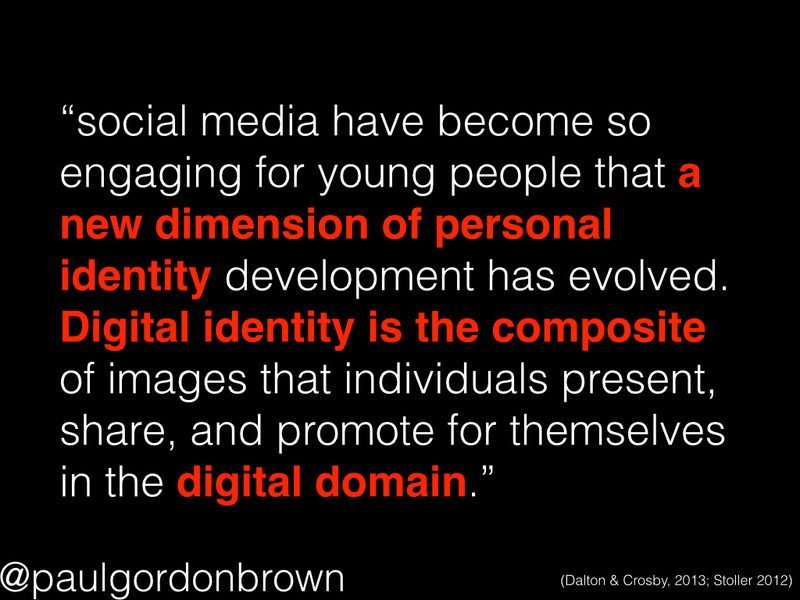 Post-digital identity development recognizes that a unifying theory of development is necessary to understand and reflect what is occurring. 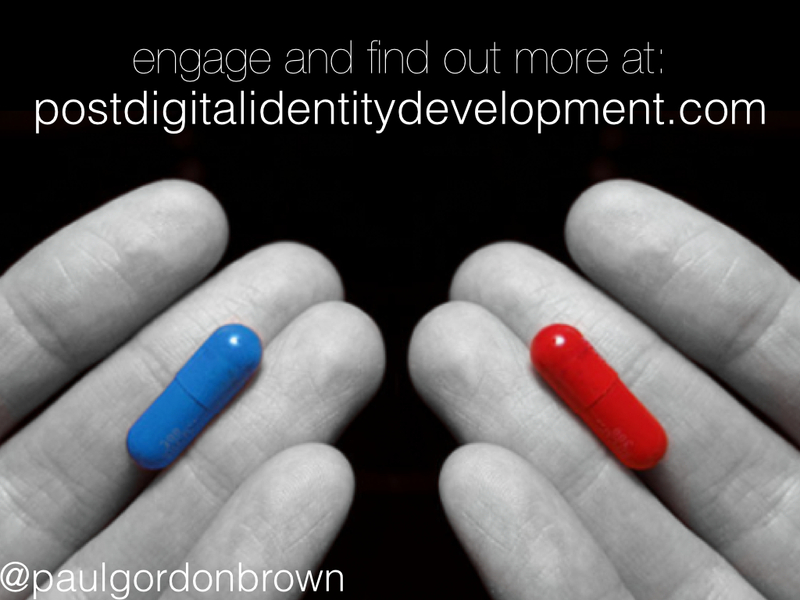 Post-digital identity development is simply identity development.